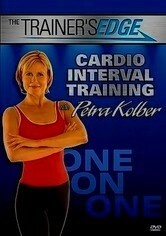 Master trainer Petra Kolber has worked with celebrities and athletes to help them lose weight and get fit. Now, she brings her proven methods to a combination cardio-weight workout, giving viewers the benefits of having their own personal trainer. Designed for beginning- and intermediate-level users, the program helps increase your heart rate and tone muscle in just minutes a day. A routine for improving balance and posture is also included.